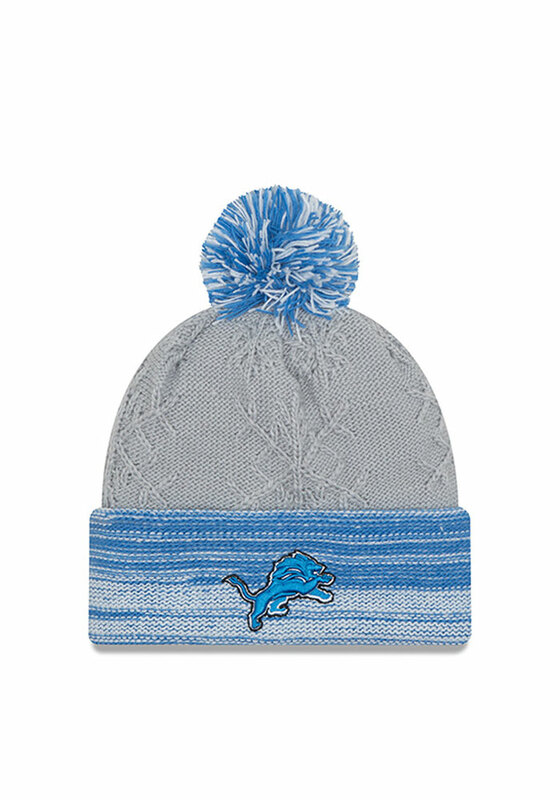 Combat the cold and represent your Lions at the same time with this Detroit Lions New Era Womens Grey Snow Crown Redux Knit Hat! 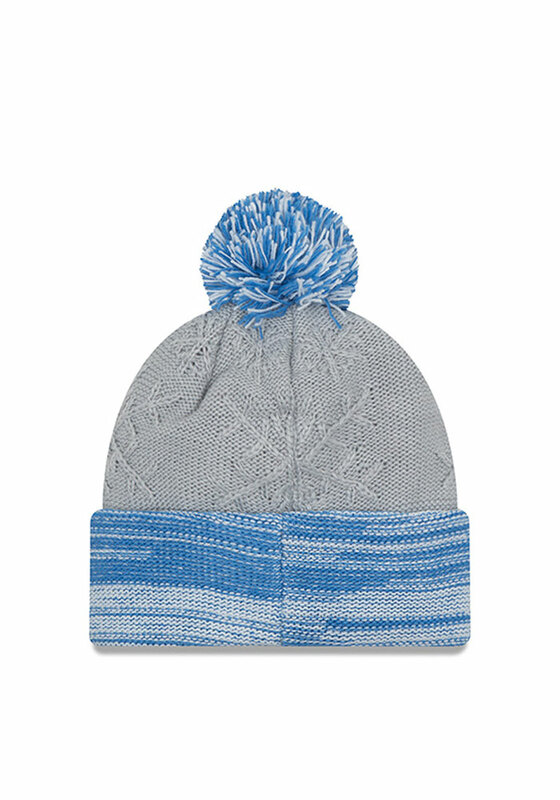 This Detroit Womens Knit Hat features a team logo embroidered on the front surrounded by an intricately knitted snowflake pattern, so now everyone will know how much you love your Lions. Go Lions! !